Sanjay Leela Bhansali had reportedly conducted a screen test with Kareena Kapoor Khan for the female lead role in Devdas, but he later decided to cast Aishwarya Rai Bachchan as Paro in the movie. Kareena Kapoor Khan has always been vocal about her thoughts, and hence, a lot of times she ends up making some very controversial statements. After being replaced by Aishwarya Rai Bachchan in Devdas, the actress had reportedly once said something about Sanjay Leela Bhansali that must have disturbed the director for a long time. According to reports, Bhansali had conducted a screen test with Kareena for the female lead role in Devdas. However, the director later decided to cast Aishwarya as Paro in the movie. 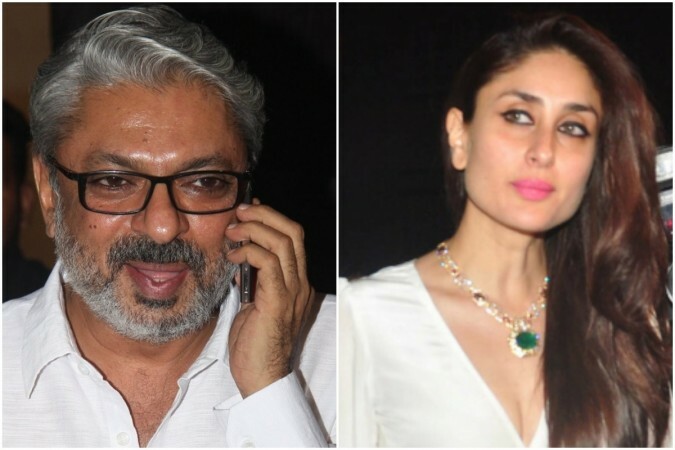 This had not gone down well with Bebo, who was so irked at Bhansali that she had ended up calling him a "confused director with no principles". "Sanjay Bhansali is a confused director. He is a person who does not stand by his word. He doesn't have any morals and principles in life. Tomorrow, even if he is the next Raj Kapoor or Guru Dutt, and my films don't do well and if I'm a flop actress, I will still not ever work with him," Kareena had told Filmfare during an interview, according to Cosmopolitan. Later, Kareena and Salman Khan were reportedly roped in to play the lead roles in Bajirao Mastani, but that did not happen for some reason. She was again reportedly signed in for Ram Leela, but Kareena had walked out of the project. Both the roles had later gone to Deepika Padukone's kitty. Although the Bajrangi Bhaijaan actress had earlier said that she would never work with Bhansali, she had expressed desire to collaborate with him last year. "Maybe a movie with Sanjay Leela Bhansali (laughs). But for that, Taimur has to be at least 10 years old because I can't leave him before that. That's the joke between Sanjay and me that we are star-crossed lovers," she had said during an interview when asked if there is any unfulfilled desire yet. While Salman has joined hands with Bhansali for the film Inshallah after two decades, we can just hope that Kareena and the director will find a suitable script to collaborate one day.